Waiting for some trades patterns to take form but just waiting for an entries. 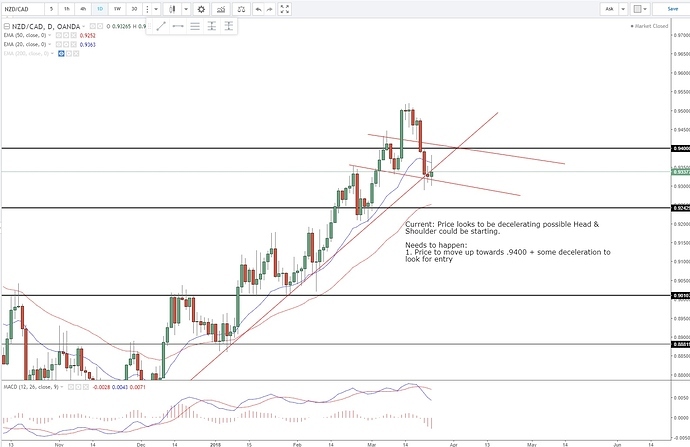 Daily - Price retracing in a uptrend. 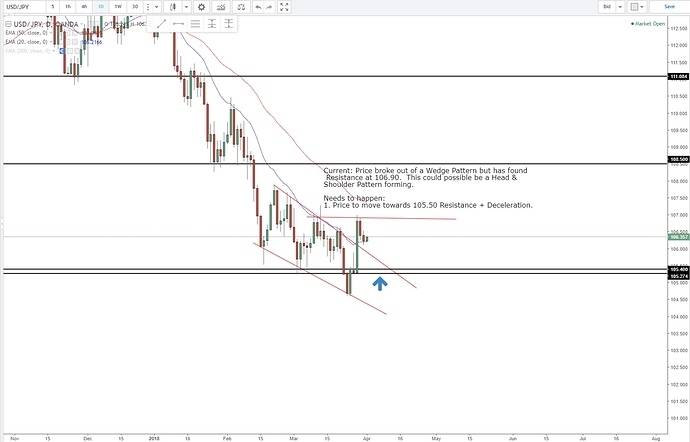 Price needs to move up to around .9400 resistance and need some deceleration before looking for a short. 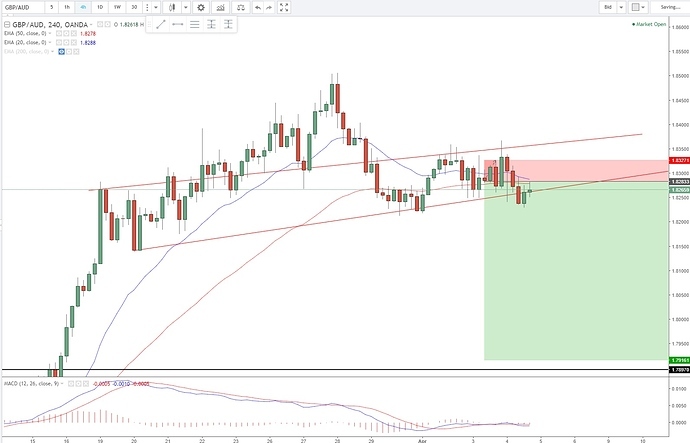 Daily - Price broke out of a Wedge Pattern but has found Resistance at 106.90. This could possible be a Head & Shoulder Pattern forming. If price to move towards 105.50 Resistance + Deceleration before looking for a Long Entry. Not much to say about price, trades have been getting stopped out then Hitting profit targets. The swing trade currently running is Break even. Will see what happens over the next few days. 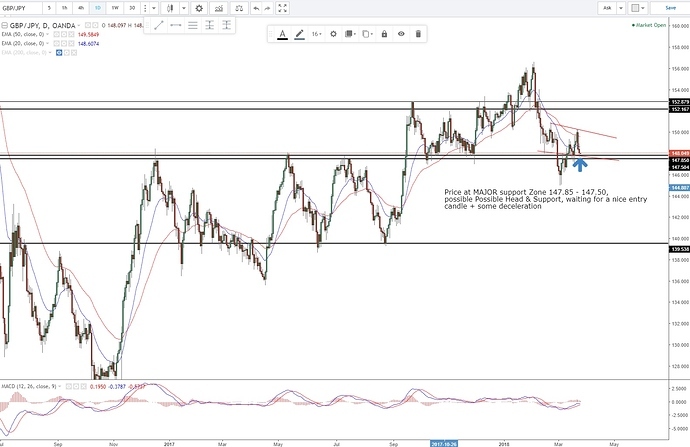 EUR/NZD [Swing Trade] 3/21/18 (OPENED) - Still Open Stop loss to Break Even. Breakout of Head and Shoulder pattern. Not the strongest but it is a breakout. Just put an entry in waiting for it to trigger. Great week. 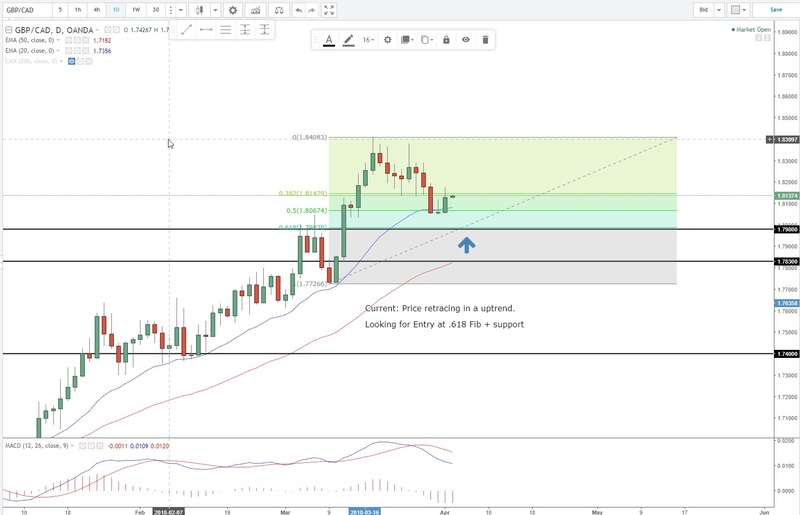 Been reviewing past data I have from my trades and looking to improve my trade entry style. I understand this is a a process and each day I am trying to improve but requirement is patience. Losing and mistakes are part of trading. You cant expect every trade to be a winner accept the losses but mistakes on Stop loss and not following the trading plan is MY FAULT. EUR/NZD [Swing Trade] 3/21/18 (OPENED) - 4/18/18 (CLOSED) [2%] - 10 pips away from take profit of 5% but ended the trade with 2%. Stiil need to make improvement in mangement. 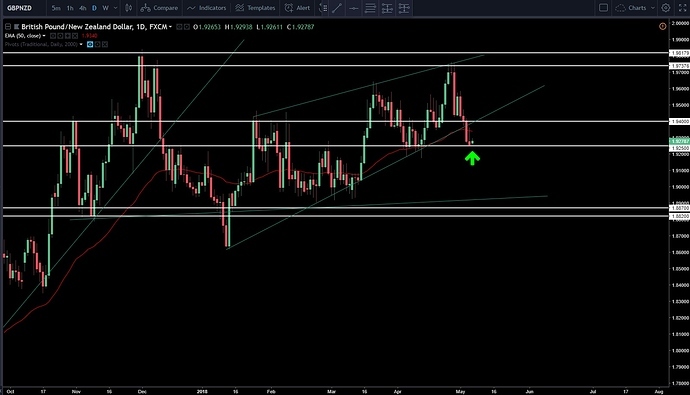 This week the market has some nice swing opportunity but I have been going over all my trades for the past few months and noticed mistakes I made. I am going to be posting them soon. As I practiced, I got better Just seeing the market and make tweaks to both my swing and day trade plan because I actually have missed a few trades the last few months. I am enjoying the process and still much to learn. Nothing, really happening this week. Just waiting for some pullback and price to get to certain area before i look for Entries. I plan to post the last few months results of trading. I still have much to learn about choosing better setups. 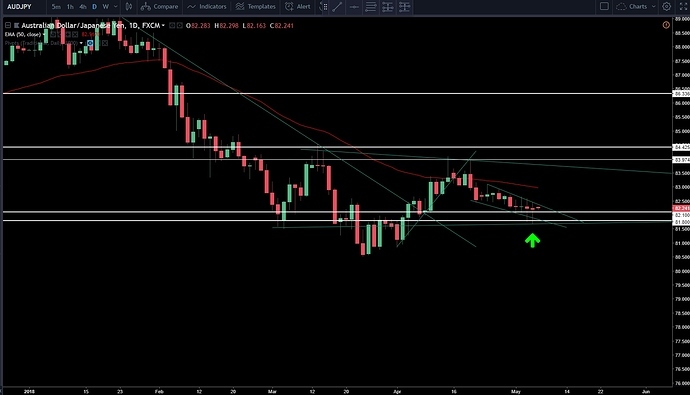 Weekly - Deceleration the week prior on 4/23 with this week ending with price rejecting and closing above Major Support 82.20 - 82.10 with 8 touches going back to 2009. 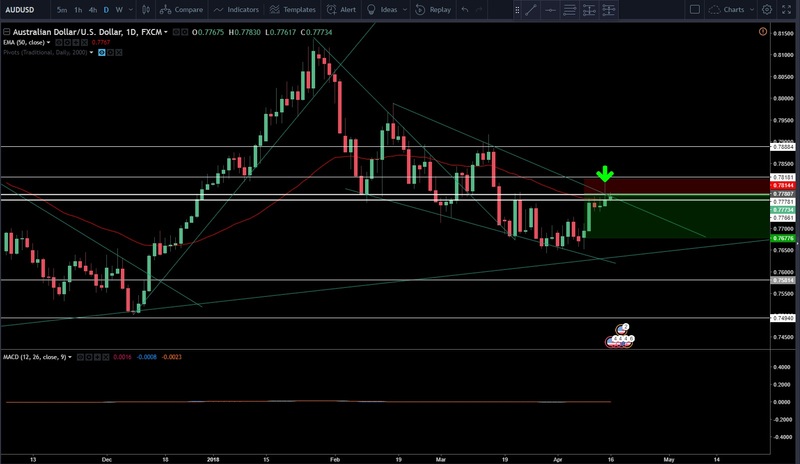 4H - Wedge Forming with a low test formed two at the lower part of the wedge with some MACD Divergence. 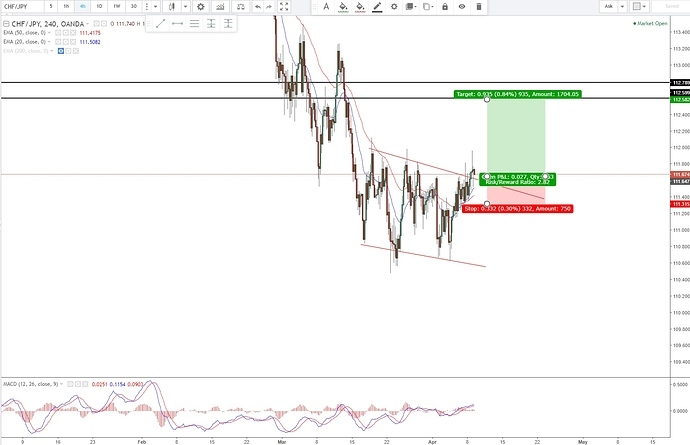 1H - Double Bottom with strong deceleration at the 82.200 - 81.100 Zone with 2 Low Test forming. - The time frame look aligned we could be seeing a reversal of trend. Daily - Head & shoulder forming with a false break of support of 82.100. 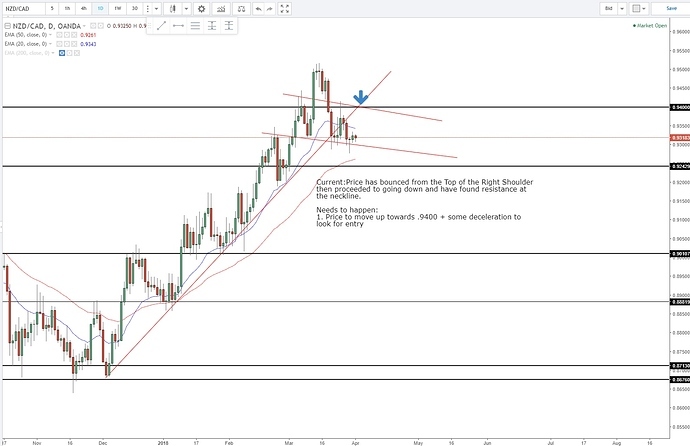 4H - Price has made a high at the minor 4H resistance at 82.60. Would like to see price to down possiblity making a H & S Pattern. if price heads back down to 81.90 looking for a possibly Long entry. Weekly Deceleration at Maor SUpport Zone 1.79400 - 1.79000. Daily - Double Bottom Formed with Deceleration Candle at Fib .618. Yeah I agree with it that you need to trade the strategy not the money. If you have the best strategy then money will be the outcome. You have to work hard in order to build a good one for youself. A sound aporoach is key to success on the Forex market. Hey Kreg, I totally agree. I am still trying to improve my plan and the trades I take plus psychology. Still learning processing, just having pateience on reviewing my trades and data on a weekl to week basis. 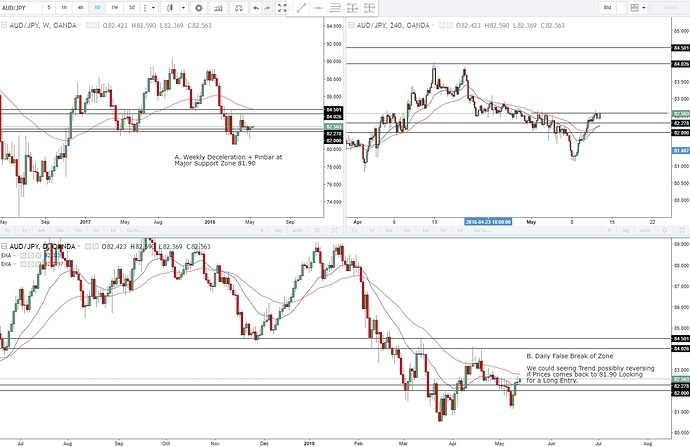 The strategies for day trades breakouts and swing trades don’t happen much but I know i missed quite a few trades in the past when I looked over the past few months data. Finding out where I should be looking for entry and when to take the entries but overall still need improvements. 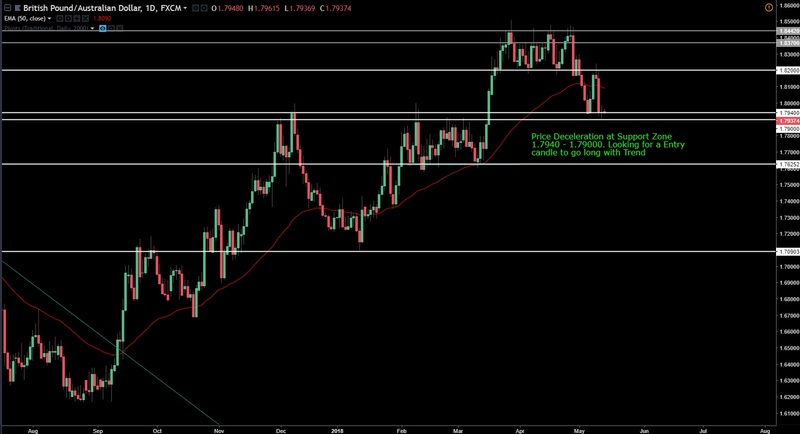 NZD/CAD - It was a nice breakout but no entry. I was waiting for some deceleration before entry but just got really close to the pivot but just bounced off. I still have much to learn and actually been improving my plan and added a few entry criteria. I have been strict with my entries but review the past data has helped a tremedous amount. I am actually looking forward to next few months will be interesting. Hello, I am back to posting my progress. I have some ways to go but I have been learning and been refining my plan over the from last time I posted. Mainly, I didn’t have many entries depending on my style but my goal always been trading the plan. Over time, I keep reviewing my results of missed entries and trades which I had to refine then found out I had some things to work on. Support/Resistance: I had some grasp of understanding but It’ still needed improvement. Especially, when your chart is covered in lines. Decided to Keeping it Simple. Market Structure & Mult-timeframe Anaylsis; I would see the Trend on the Daily but the Weekly shows a Reversal Candle. I would end up taking entries where I shouldn’t have. Missed Entries (psychology): This was recent because it happened on my Swing Entries when I would finish this quickly slight because I had a small account. These past few months, basically I started becoming more self aware(psychology) of things I was weak in because I lack self-disciple, focusing on to many thing at once when I should just practice one concept at a time, and psychology. Normally, I would just stop after three months because I wasn’t getting the results I wanted but this is actually is a Journey. Practicing Support/Resistance, Structure, Price Action and etc. Psychology - This is super Important. I made sure since I started this thread I would always do my weekly review(in evernote) and haven’t missed once because this is a business. I must treat it as one. I still have some ways to go but I will keep posting my progress. I am excited!! !